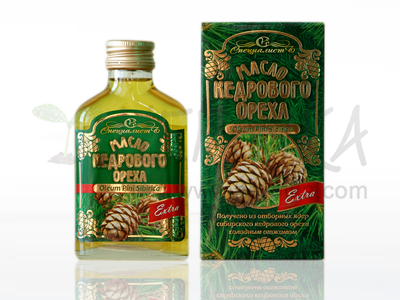 The Siberian Pine Oil is a real treasure in the realm of oils, whether by its effects or content. 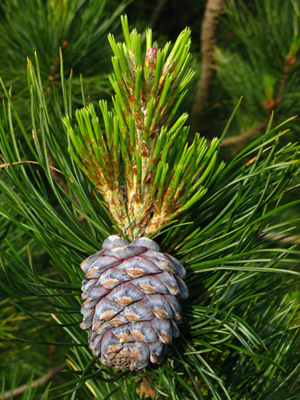 In reality it is an oil from the nuts of the Siberian pine (Pinus sibirica), whose folk name is Cedar. The nuts are for this oil collected in the ecologically cleanest areas of the Siberian taiga in Altai. According to the ancient legends "the Siberian Cedar (Pine) was created as a reservoir of cosmic energy"". This perception is logical given to the oil content which has a harmonic and complex effect on the human organism, on the physical and mental wellbeing. It has a natural content of serotonin – hormon of happiness, which caresses our soul and supplies with energy. Also that is why its use is recommended for people living in large cities and ecologically overloaded areas. Siberian Pine (Cedar) oil is the greatest source of microelements and vitamins, especially of the B and D group, which normalize nervous system and improve the blood picture. There is not an analogical substite in nature in terms of beneficial influence on the human organism. 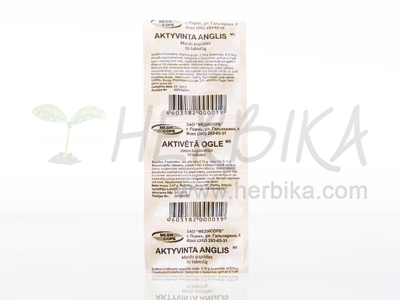 Vitamin A makes this product suitable also for small children, it supports their healthy growth. The Vitamin E content in the Cedar oil is 3-times higher than in the Coco oil and 5-times higher than in the Olive oil. It plays an unforgetable role in all phases of the reproductive processes: fetal development, organism growth, increases quality of breast milk of nursing mothers and helps also during pregnancy. Thanks to its high content of vitamin F the Sberian Pine (Cedar) oil surpasses also the most known source of this vitamin – the Fish oil! Vitamin F means specific unique fatty acids responsible for correct growth and recovery of cells, which is important for people of all ages, for children as well as adults. It has not only a strengthening but also a detoxifying effect. Furthermore it contains a number of essential fatty acids, thanks to which it can effectivelly carry radionuclids, heavy metals and other toxins out of the body. The Siberian Pine (Cedar) oil secures the profylaxy of the digestive tract, alleviates stomach and duodenum pains, boosts the imunity system. It turned out to be very effective during the stomach and duodenum ulcers, during allergies or psoriasis. It is suitable also for massages, revitalizes skin, increases its elasticity and easily deals with skin problems. 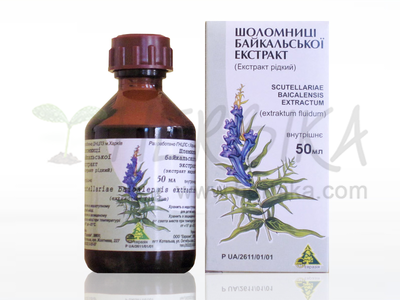 Siberian Pine oil is also recommended during easier forms of tuberculosis (recommended in combination with Shiitake), higher blood pressure and against arteriosclerosis. vitamin E – plays an irreplaceable role in reproduction phases, has a beneficial effect on functioning of reproductive organs, improves the healthy fetal growth and improves quality and formation of milk during pregnancy period and breastfeeding. 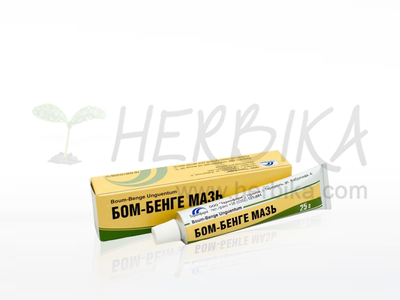 It has a beneficial effect during oncological diseases, stops growths. vitamin F – responsible for regeneration and growth of cells in the human organism, it is irreplaceable and the human body aquires it only from food. teaspoon 3-times a day. External application: for massaging, during skin problems apply directly onto the skin. 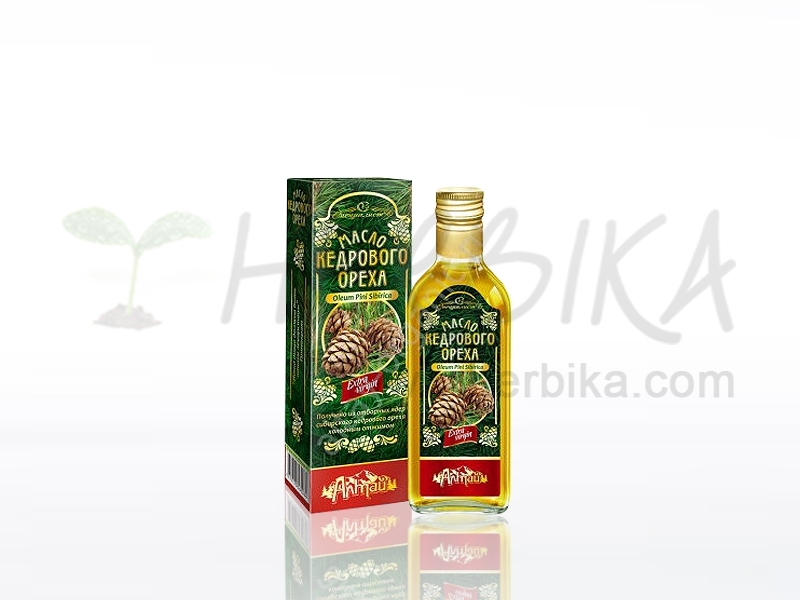 Ingredients: 100% cold pressed Siberian Pine Oil (Pinus sibirica), non refined. 2. Active plant carbon – organic form 10tbl.